I’ve been making crisps since I was a child. They were one of the first things I learned to bake so they are special to me in the way a first love is special. I find that when the last of winter is behind me I start to crave fresh fruit desserts, and since this is easy and nearly fool-proof it is perfect to satisfy my cravings. It is important that the crisp have a crisp topping. I know it sounds silly to say that, but so many crisps have soggy, over blended tops that just clump up and get mushy. Or, the crisp is topped with pie crust which is, while delicious, not a true crisp. Below is the recipe I have been using for over fifteen years. You can use just about any fruit you like. I am fond of peach and raspberry or blueberry, pear, and in the fall plum or cranberry. 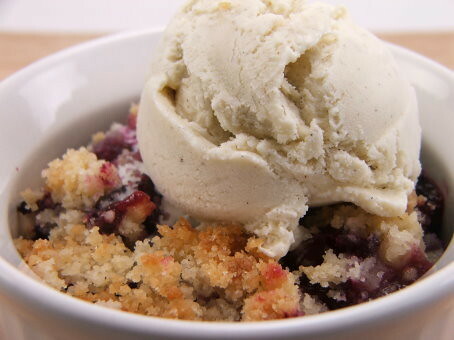 Top it with ice cream, or whipped cream, and you have a dessert fit for company. Versatile and tasty, this crisp delivers comfort in a hurry! 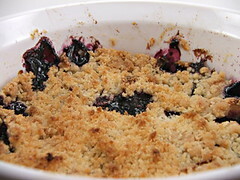 Mix the apples, blueberries, sugar, cinnamon, cornstarch, and salt in a small baking dish. In a bowl blend the flour and sugar. 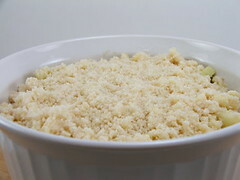 Using your fingers, blend in the butter until the mixture resembles coarse sand. 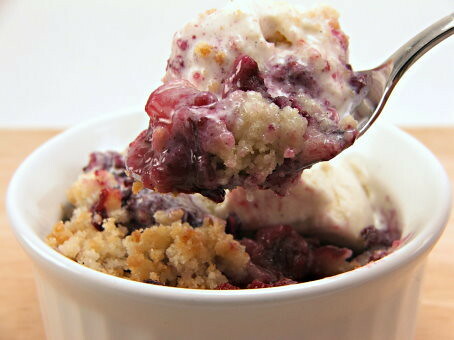 Spread the topping over the fruit mixture evenly. Bake for 40 minutes, until the filling is thick and the center is bubbly. 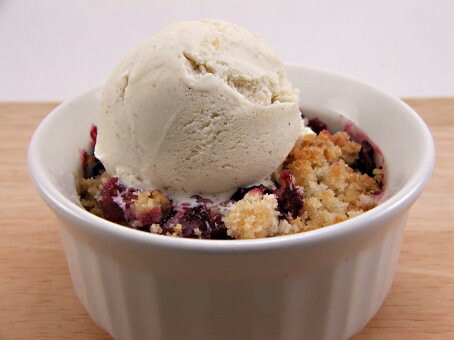 Cool for 10 to 20 minutes, then serve with ice cream, if desired.